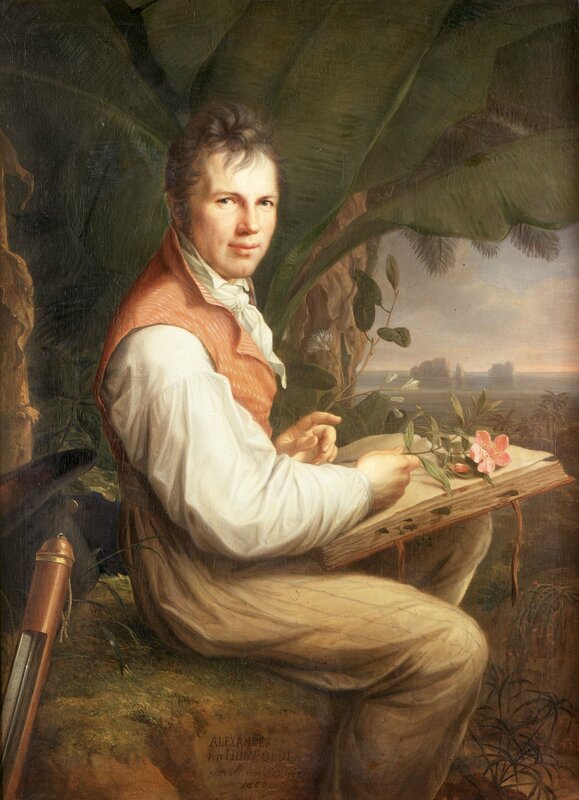 Episode 84: Alexander von Humboldt, Personal Narrative of a Journey to the Equinoctial Regions of the New Continent | Book Fight! This week’s book was chosen for us by a donor to our winter fund drive. A famous work of early 19th century natural history, it’s a little outside our usual comfort zone, but we’re always happy to give new things a go. Still, don’t expect that you’re going to hear an expert breakdown of von Humboldt’s findings, or his place in the history of science. Instead you’ll hear us trying to wade through a lot of measurements and descriptions of rocks in search of the good stuff: jaguar-related adventures, fishing for eels, and making jellyfish mad. You can read (or maybe skim?) the roughly 2,000-page book here, via Project Gutenberg, though we’d probably recommend the abridged Penguin version, which is only 300-some pages and presumably cuts out some of the stuff about water temperatures. Also this week: a new installment of Raccoon News, which includes a dispatch from our hockey-loving friends to the north. Plus a new segment: James Patterson Novel or Eric Stoltz Movie From the 90s? As always, you can listen to the episode right here on our site, by clicking on the streaming player below. Or you can download the mp3 file. Or visit us in the iTunes store, where you can listen to back episodes and subscribe (for free!) to make sure you never miss another installment. While you’re in iTunes, please take a second to leave us a rating and a review. Both those things help the show move up the charts and ultimately allow us to reach more people. We’re always happy to hear what you think about the things we discussed on the show. You can email us directly, hit us up on Twitter, or just leave a comment here on the site. Also: As of a few days ago, we’re now on Facebook! So come visit us over there, where we’ll post occasional photos and show notes, and maybe preview upcoming show features. Categories: Episodes | Tags: donor picks, geology is hard (and kind of boring), history of science, how many toises is that volcano?, natural history, raccoon news, rich white guys do the darnedest things, the gentlemen naturalists of the 19th century | Permalink. Pingback: 2015: The Book Fight! Year in Review | Book Fight! Subscribe to our Patreon, and we'll give you stuff in return. Click through the link to the Powell's online store, and every purchase you make will help support the podcast. You'll also be supporting a great indie bookstore, so win-win! You can also donate directly to us, via PayPal. All donations help offset our hosting and equipment costs, and keep the podcast free forever and ever.